The failing ANC government has shown that it has no interest in providing their communities with much needed resources to help give the people a fighting chance of securing jobs and improving their education. This after the Dr Beyers Naude Local Municipality announced that it would be closing all 12 of their libraries from Monday, 4 February, because the Department of Sport, Recreation, Arts and Culture has failed to pay over grant funding of R2,4 million that has been due for more than six months. The amalgamation of Baviaans Local Municipality, Camdeboo Local Municipality and Ikwezi Local Municipality into Dr Beyers Naude Local Municipality has greatly added to the dire financial situation that the municipality finds itself. The cash-strapped municipality has been carrying the costs of the libraries but has reached a point now where there are no longer funds to cover operating costs or pay staff, which has led to the municipality announcing the shutdown until further notice. Public libraries should be important centres of learning and development in communities. They are a place where young people should have access to information for their homework, where students can go for projects for their university studies and where job seekers can access online jobs portals. Libraries are part of the ladder of opportunity that communities have to climb out of poverty. DSRAC has the responsibility to subsidise local and metropolitan municipalities for the provisioning of library services. 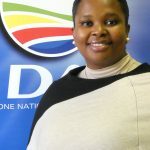 I have submitted parliamentary questions to DSRAC MEC, Bulelwa Tunyiswa, requesting clarity on the extent of the funding that is owed to the Dr Beyers Naude Municipality, as well as requesting explanations on the delays in releasing said funding and set out what steps will be taken to ensure that the libraries are reopened as matter of urgency. The DSRAC Annual Performance Plan notes that the province needs to prioritise institutional support in order to stabilise the functionality of amalgamated Municipalities in order to ensure their effective functionality and performance. Clearly this has not happened. The Democratic Alliance will continue to fight for free and fair access to information. We will continue to challenge the ANC legacy of illiteracy and provide opportunity hubs where residents have access to information and internet services.